Farmington Brewing Company » Events » Upcoming Events » DeutschTroit Catering at FBC! Farmington Brewing Company > Events > Upcoming Events > DeutschTroit Catering at FBC! We are SUPER excited to welcome back DeutschTroit, the German Food Pop Up to the FBC! On Saturday, April 20th, Jana and Shawn will be serving up some delicious, authentic German cuisine from 5:00 to 9:00 PM! 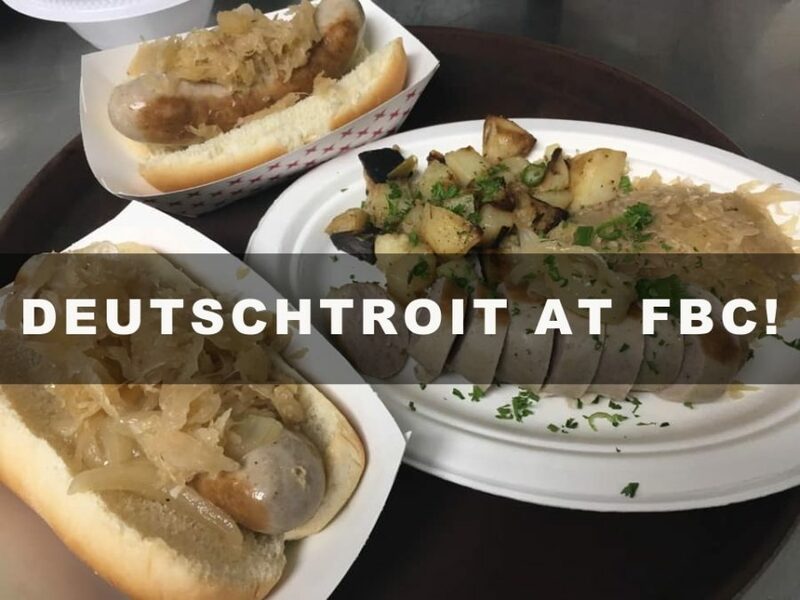 Schnitzel, sausage, soup and more, DeutschTroit brings a taste of regional Germany to Metro Detroit, so don’t miss out! Family friendly during food service hours, grab the whole gang and head up for a pint and dinner!